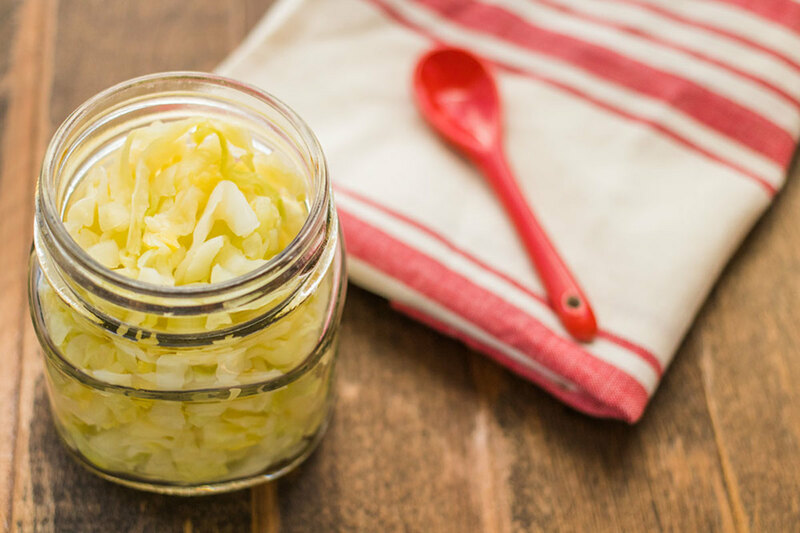 If you’re looking to add some fermented fare into your diet then learning how to make sauerkraut is the perfect place to start. 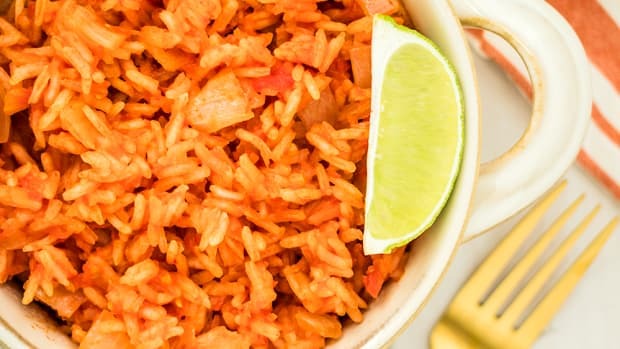 This sauerkraut recipe uses only two ingredients and is very versatile. 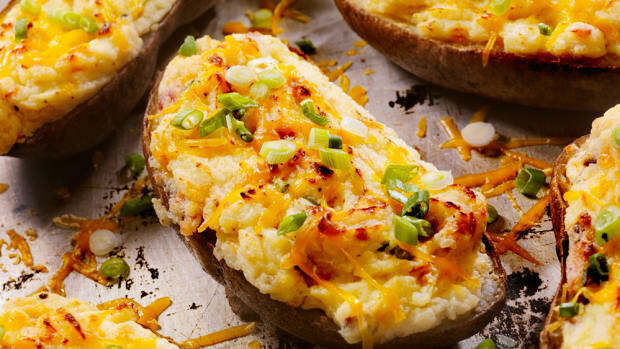 It can be added to grain bowls, salads, sandwiches, or eaten as a side. 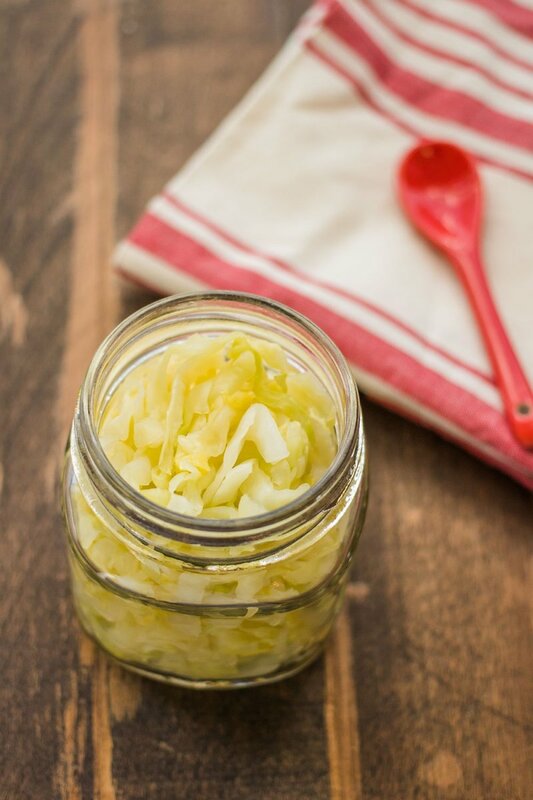 By making homemade sauerkraut you’ll be reaping many health benefits. Sauerkraut is pickled cabbage, which has a zingy flavor and light crunch in texture. 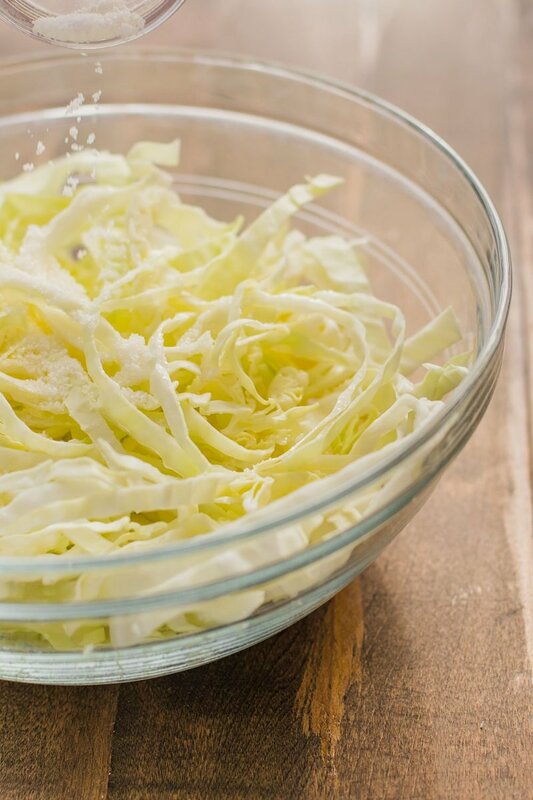 Shredded cabbage gets soaked in a brine for several weeks, which allows the cabbage to ferment and its signature sour flavor to develop. This recipe for homemade sauerkraut is made the traditional way, unlike the shelf-stable conventional sauerkraut you see at the supermarket, which is usually loaded with preservatives and sometimes artificial ingredients. Often, it is pasteurized or contains vinegar, which can kill the beneficial bacterium in sauerkraut, lactobacillus. Healthful store-bought sauerkraut will be in the refrigerated section (most likely at a health food store) and costs a bit more than the shelf-stable stuff. Sometimes it still may lack the beneficial bacteria that homemade sauerkraut has. So you can save your money and ensure you’ll be getting all the probiotic benefits by making your own. 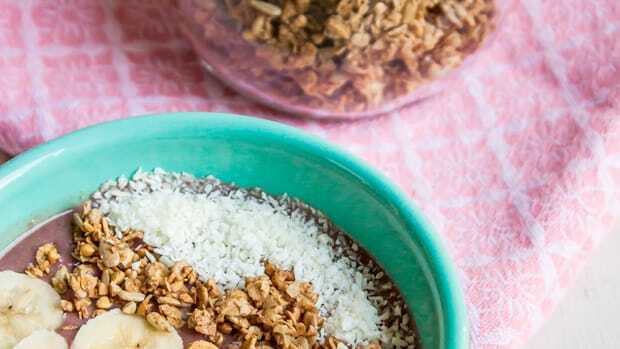 This probiotic-rich food is good for more than just dressing up hot dogs. 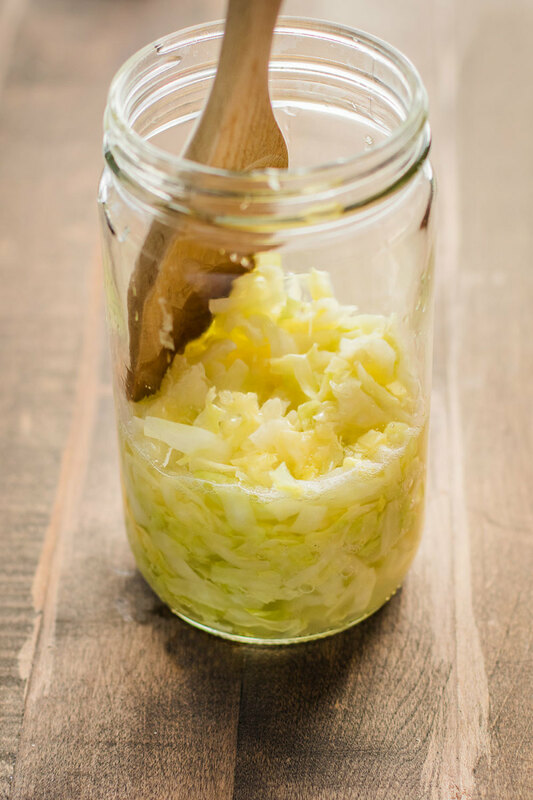 It is rich in lactobacilli -- good bacteria that not only prolong sauerkraut&apos;s shelf life but also strengthen the digestive tract’s functioning. Probiotics are believed to be helpful in managing a number of ailments including IBS, IBD, constipation, intolerances, and allergies. 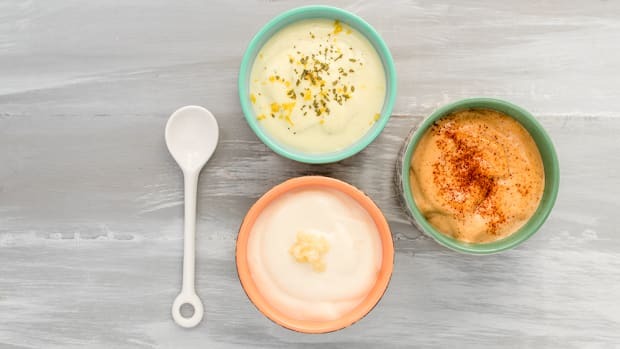 Probiotics are especially beneficial to those taking antibiotics since it can restore the balance of bacteria in the gut. 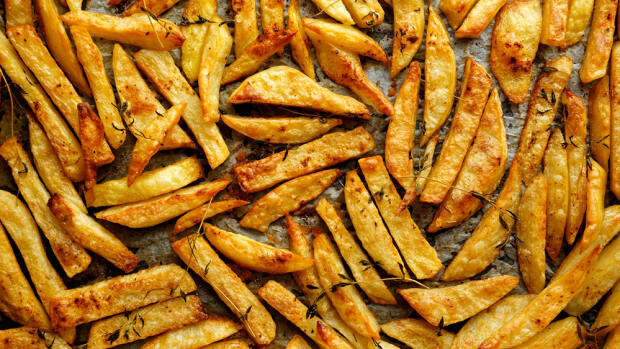 For this recipe, you will need to ensure you are using unrefined sea salt. Refined salt, also known as “table salt” is stripped of its nutrients and is not conducive to maintaining a healthy diet. Unrefined sea salt, on the other hand, has minerals and essential nutrients that will allow your sauerkraut live up to its full potential. 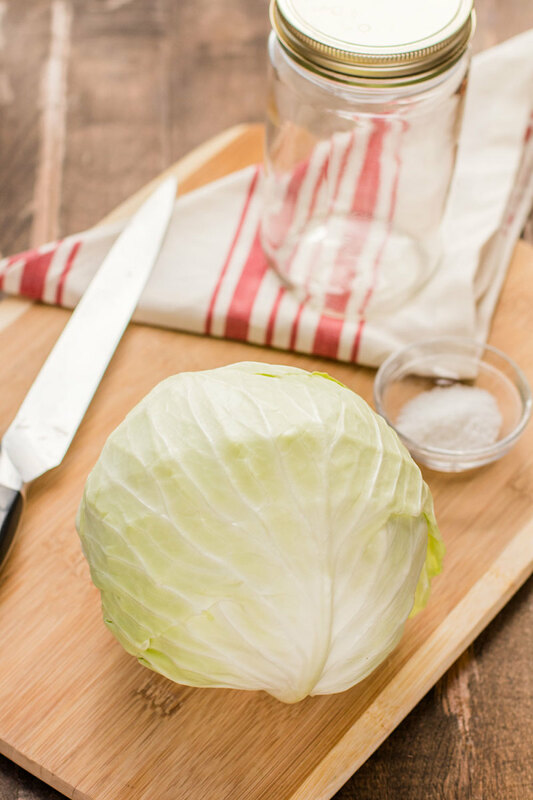 To get the best texture of your sauerkraut, you’ll want to slice the cabbage thinly. 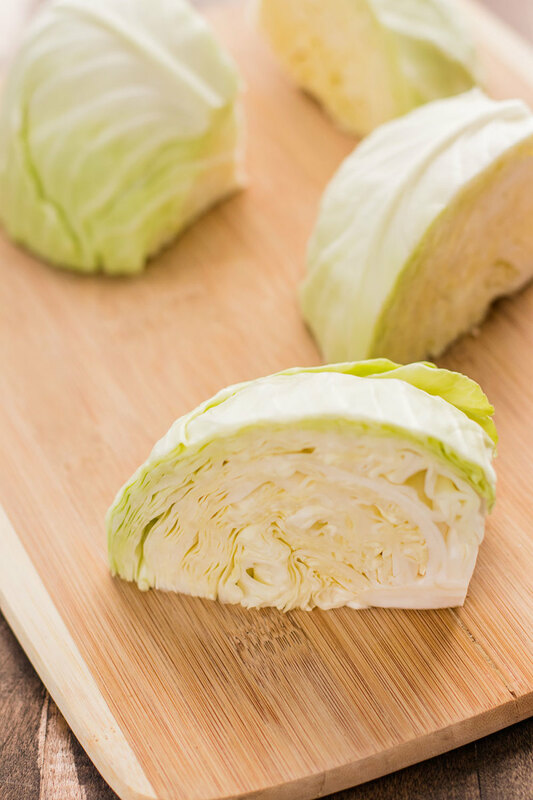 For extra thin cabbage slices, cut along the longest side of each wedge of cabbage. This will allow you to get long, skinny strips that are perfect for sauerkraut. Start by removing the two outermost leaves of the cabbage and discard. Next, rinse the cabbage under cool water and gently shake out over the sink. Pat dry and then transfer to a cutting board. Chop the stem off the cabbage and discard. Slice the cabbage down the center, and then cut each half again down the center to form 4 wedges. Cut each wedge diagonally along the bottom edge to remove the core. Discard. 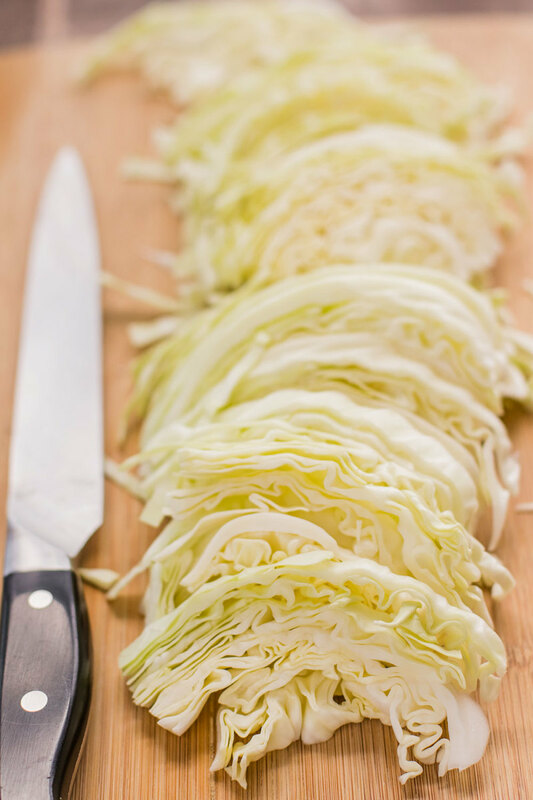 Place cabbage on the longest side and begin to slice along the edge to form thin, long strips. Repeat with each wedge. Measure out 8 cups of cabbage and transfer to a large mixing bowl. Add 1 ½ tablespoons of sea salt to the bowl of cabbage and let sit for about 10 minutes. With clean hands or a wooden spoon, massage the salt into the cabbage. 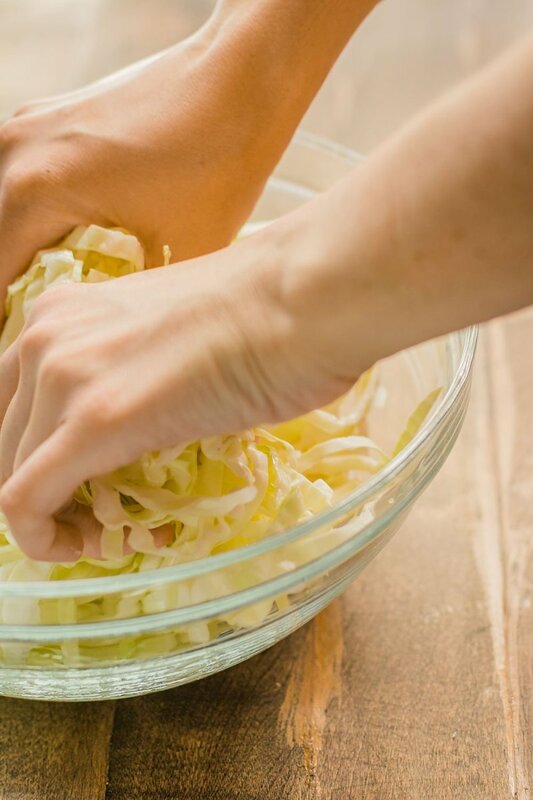 If using your hands, squeeze the cabbage while you mix which will draw out more moisture. If using a wooden spoon, press down on the cabbage as you mix to achieve the same results. 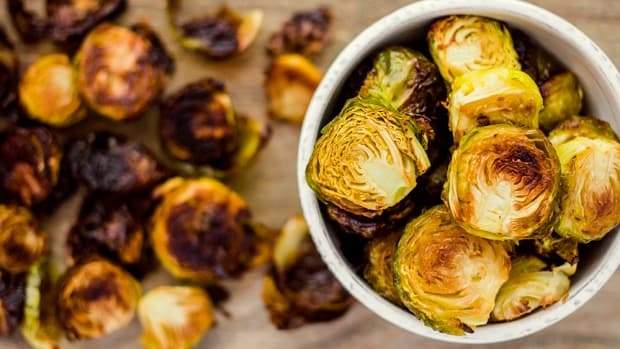 Within about 5-8 minutes, the cabbage should be softened and there should be at least an inch or two of liquid (brine) accumulated at the bottom. 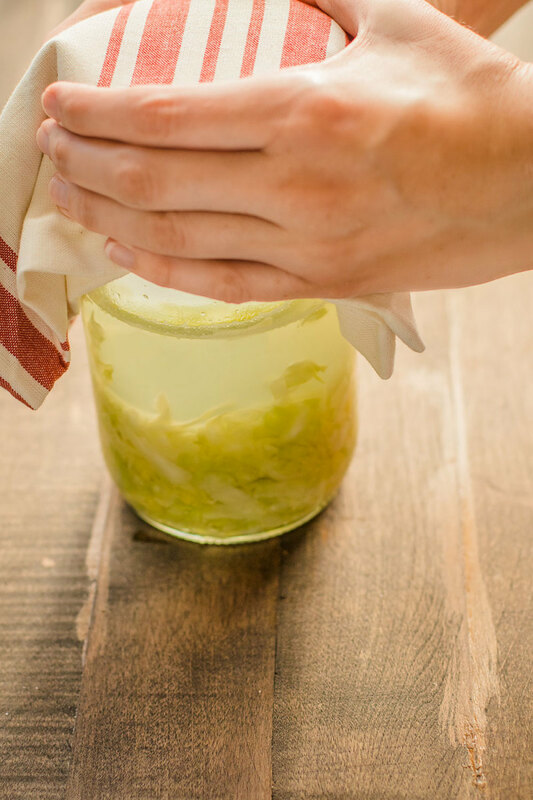 Transfer the cabbage to the jar and then pour the liquid over it. Pack down the cabbage using the wooden spoon until the cabbage is completely submerged in brine. Weigh down the cabbage with a small, sealed jar filled with water or a peeled onion (halved if necessary). Press the weight down so the cabbage is tightly packed. Cover the jar with a clean kitchen towel and seal with a rubber band. Let sit for 7 days and then taste test. If the sauerkraut is not tangy enough yet, you can let it ferment for up to 2 more weeks. 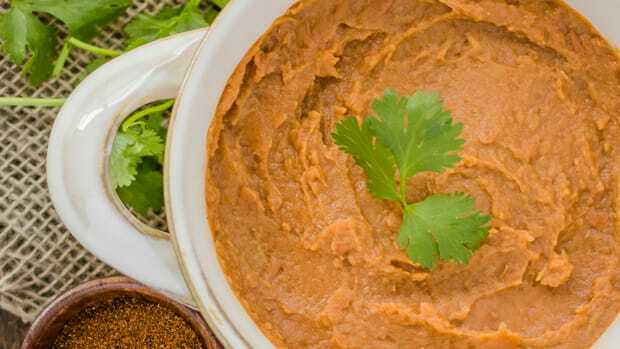 Once done fermenting, transfer to the refrigerator for storage for up to several months. Start by removing the two outermost leaves of the cabbage and discard. Next, rinse the cabbage under cool water and gently shake out over the sink. Pat dry and then transfer to a cutting board. Transfer the cabbage to the jar and then pour the liquid over it. Pack down the cabbage using the wooden spoon until the cabbage is completely submerged in brine. Weigh down the cabbage with a small, sealed jar filled with water or a peeled onion (halved if necessary). Press the weight down so the cabbage is tightly packed. Cover the jar with a clean kitchen towel and seal with a rubber band. Let sit for 7 days and then taste test. If the sauerkraut is not tangy enough yet, you can let it ferment for up to 2 more weeks. 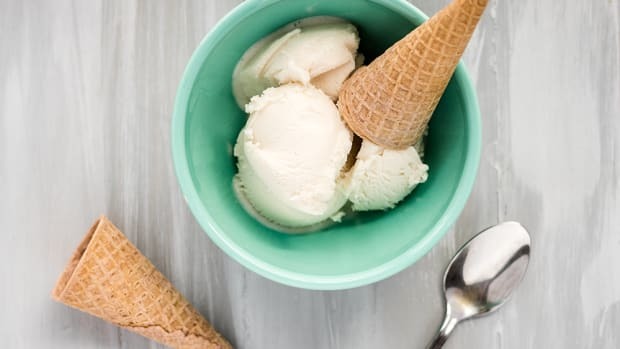 Once done fermenting, transfer to the refrigerator for storage for up to several months.